People will tell you that pre-season means very little except gaining fitness and eventually some tactical awareness for what’s to come in the season ahead. These may be the main goals – I’m not disputing that – but surely it must also be to have the team ready to go; to be as close to the finished article in a team sense as possible, thus enabling us to give those Brummies and their Championship brethren a damned good thrashing! But do we give ourselves the best chance of this? How might we be better prepared? For as long as I can remember City have started pre-season with local, non-league opposition, moved up to maybe a League Two side or two and then go on tour to play some mainly second-rate opposition, before returning home for some more generally low-quality domestic opposition. The majority, on paper, are lower quality than us. And so, will we again flatter to deceive and get shocked when the serious business starts in Birmingham? Lowestoft, Stevenage, Cambridge, Charlton and finally someone respectable in the form of newly promoted Brighton. Is it any wonder we looked half-cooked when we started last season? Was it too easy for the likes of Mario Vrancic to impress, before suddenly facing tougher, better players? Could we have faced more top-tier sides or at the very least no lower than third tier UK standard? Why is it we seem to, season after season, predominantly play teams below us in the league structure? Does it leave us under-prepared? Would playing sides from our own level and above propel us upwards? I think it might. If results are, as expected, harder to come by, wouldn’t that make us strive for more? Dispel any complacency? Make us fight harder, play faster and then be more ready to hit the ground running? Would – looking back at last summer – a Premier League side or two have found out our defensive frailty before we bled points and got so horribly found out at Millwall? Could we have identified the need for Grant Hanley in and Russell Martin out before kicking a ball in anger at Fulham? To test this theory, I looked at both automatically promoted sides, Wolves and Cardiff. They certainly hit the ground running, kept running and were comfortably the best side I saw in the division. but did any of that hinge on their pre-season? I think perhaps yes. They obviously spent a lot and bought in quality the rest of us could only dream of, but some of those key players had little or no Championship experience. An easy pre-season and maybe they struggle? So, a tough pre-season worked and perhaps contributed to Wolves’ success. So, Cardiff were skint and didn’t travel a lot, but look where it got them. Back to the Promised Land. So where does that leave us? Confused mainly – and it certainly tears a dirty great hole in my tough opposition makes for a good pre-season argument. They won their first five games and only lost one in their first ten! So, I looked back further to the 2016-17 Championship winners and runner-up. Again, no definite pattern. Slightly better than City’s general preseason calibre but not outstanding opponents driving them to excel. So, maybe we could play some tougher teams, I think it might help. When I play darts, golf or – in my younger days – football. I used to find I would often raise my game if faced with better opposition, and I believe higher calibre pre-season opponents could have that same effect for our players and enable a faster start with better-prepared players. The season is all that matters right? Or should we keep that nice friendly to put some money in a local teams’ coffers when it is very unlikely to test or progress the players? It worked for Cardiff, so bring on the mighty Lowestoft! Cheers to the General. Next up… Baldrick! A very welcome article from the General. Interesting stuff, including a few questions about pre-season which had crossed my mind. Also refreshing to see someone brave and mature enough to lay out all the evidence, even the bits that don’t back up his viewpoint. My science hero Richard Feynman would be proud. Hope this isn’t a once-off article, General! No point leaving out counter evidence, the readership on here would soon pounce if I hadn’t and if it was so obvious that playing better teams gave you a better start, all clubs would be at least trying to do it. As for being a one off, if inspiration grabs me again, I shall pickup the pen once more. I have often thought along those lines myself – are they strong enough opposition? I understand it is an unwritten rule to play local teams Kings Lynn, Dereham etc – that is always good for the local teams and their followers. Good Community spirit and all that. Playing lower leagues sides is all well and good in the opening salvos of friendlies, but the quality should be increased. Playing lesser sides can have a more serious side – Cambridge highlighted that. Over the years I can remember seeing far better quality, run on the hallowed turf (and plastic) at Carrow Rd – Ajax, Palma, Real Zaragoza, Vitesse Arnhem, Real Sociedad & Panathinaikos to list a few of the better known overseas names. Canarylad, I suspect, but don’t know, that list is hugely influenced by appearance fees demanded by the opposition. I guess this could be one of the main reasons, PL clubs are often off somewhere lucrative to play friendlies that sometimes will do little to advance their own preparedness, but put money in the coffers. For the true big boys of course this usually takes on the guise of playing other European giants in a mini tournament, this is financial gold, but also gives a high calibre of opposition. Oh to be a have! But is there value in playing those sides in those opening games? They too will be in the early stages of their pre-season, so ignoring localised managerial effects, will be as unfit, but lesser quality and so in theory still an unworthy test. Better to play an equivalent level, at a similiar stage of pre-season than lesser surely? Aren’t we slightly stymied this summer by being unable to play a home friendly due to the pitch not being ready? I’m guessing we’d have had a PL (or maybe Bundesliga?) visitor this weekend had we been in a position to host one. We have at least faced Wolfsburg, who aren’t too shabby, and given them a decent game. Even then playing PL opposition is of limited value as they are at least a week behind In preparation, and this year many clubs still have their stars resting from the World Cup. Personally, I’d be more concerned about the players who have not managed to play yet than the level of opposition we’ve faced. At least 2 from Lewis, Hanley and Tettey would probably be in the first choice eleven a week on Saturday. None of them are fully up to speed at the moment. I generally agree with what your saying, but I’m sure some PL opposition could have been available for an away game with us instead of Charlton, if of course the will to organise it was strong. Surely playing PL opposition, even if a week behind in training is more testing than Charlton or Luton? Of course it is a worry having key players injured but we will always have concerns over injuries at all times, pre-season is no different, Better to give those that are fit the best possible chance of being ready. Interesting read – I’ve always thought (probably erroneously) that playing better teams would prepare us better. Maybe a better solution would be to play pre season games against the kind of opposition we struggle against (i.e. a Millwall or other big burly direct teams with Daryl Murphy type strikers that scare the cr*p out of Klose). Its a tough balance as its good to get physically challenging pre season games in, however we dont want a repeat of Cambridge last year where Pritchard and Klose got crocked for a few months which messed up the start of our season and probably kept a couple of £m of Pritchards price in January. One interesting thing I noticed from looking at Brighton’s pre-season fixtures was that they played Fulham in pre-season, so there appears to be no rules that prevent us playing other championship sides. I’m not sure if it would be a hard sell or not, but maybe the best way to prepare for a big burley direct side like Millwall would be to play them. If their gaffer also considered playing comparable quality opposition the best prep then, why not? Ideally a mixture of easier opposition and teams on a similar level, but I’m somewhat sceptical of how much significance they actually have for the squad as a whole. At best, they give the fringe players a showcase who are pushing for a place, rather than those who have it in the bag and don’t want to hurt themselves. I’m sure Farke has a computer simulation program as bad weather back up. Norwich City have been ‘very difficult’ to deal with since Webber’s arrival I understand with regard to arranging friendlies with local sides, especially throwing in the ‘2o mile rule’ hand grenade between first and development teams. This stance has not gone down well, especially when they claim they are a community club. When it suits them. Perhaps I’m alone, but I’m actually happy to hear that Norwich City are difficult to deal with since Stuart Webber’s arrival. For too long, on too many things, we’ve been a soft touch. If we’re to succeed in the Championship this season, everything has to be totally professional – whether it’s transfer negotiations or pre-season preparation. If that means appearing tough and selfish, so be it. Last season we had two of our best games against better opposition e.g. Arsenal and Chelsea. Would playing friendlies against good footballing teams from higher leagues prepare us for an away day against Millwall or Burton Albion. Its a good question, but what we do know is that last seasons predominantly weak oppositioned preseason certainly did not. Otherwise the results might not have happened. Last season will in many ways be written off for the sheer scale of upheaval, with so many new players unused to to the championship and British football in general. But all the more reason I would think to get them exposed to the right level ASAP, a preseason game against low end PL or another championship side could have started their education and acclimatisation sooner. Far be it for a mere civilian like me to advise the General on tactics, but you also have to consider at what stage in their own preparation the opponents might be. For example, this year many of the top tier clubs in Europe will have given their key players extra time off because of their World Cup involvement, and some of the leagues starting later than ours, so the opposition might not be as significant as you might expect. Surely the key benefits of pre-season must be the opportunity ,to introduce new players, and ,to generate team spirit, as well as working on fitness. Really enjoyed reading that General. A great perspective on the lottery that is pre-season friendlies. Anyone for Cambridge? Timm, Pritch? As Stewart says above, don’t make it your only article for us. ps Gary do I have to be Baldrick or do you have somebody else in mind? A very good first read and excellent subject. Pre-season is always a period of damned if you do and damned if you don’t – as someone mentioned, last pre-season cost City with injuries we could ill afford, and the opposition weren’t of the greatest calibre. This pre-season – slightly better opposition but nothing really to write home about and no major injuries so far, but 2 games to go. I would like to see in future pre-seasons, City try and organise a sponsored tournament with possibly two or three teams from European leagues and another championship side. This could get the interest for the upcoming season started with a bang and the supporters would see some good opposition over a 4 to 6 day period. My biggest concern would be our players getting injured in ‘tough’ games. I personally wouldn’t invite the likes of a Burnley or a Southampton type team to play in a friendly. What’s the point? Our lads would be straining at the leash to get a result against the ‘ big boys’. Resulting in ‘hamstrings’ and ‘achilles’ through no other reason than to be competitive. No way. For me, stick to the likes of Dereham town reserves, Kings Lynn Old boys, and Gt. Wichingham Seniors and the ilk. No offence intended. For me the last two games have to be about a consistent team playing relatively decent opposition for the full game. We can’t spend the first 5-10 games of the season trying out formations and tactics. Pick a side, for better or worse, and get them playing consistent football. Coop and/or Duck put it as such… “it’s not a two year transition, it’s a one year balls up and it’s going to be Star Trek the next generation next year.” Which isn’t unfair. Most of our consistently played players have gone (Gunn, Maddison, Murphy, Reed), and even those on the books that remain, many were injured or unplayed. Only the defense resembles anything like last year. 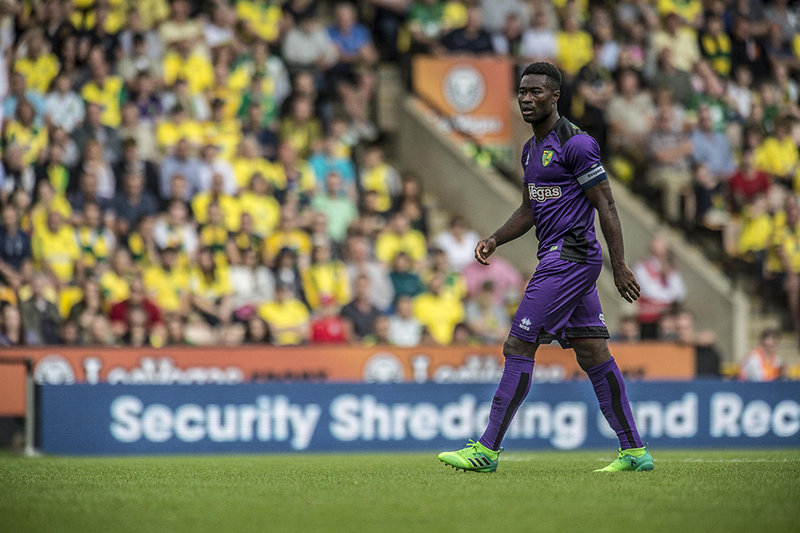 Players that remain who started over 20 games last year – Zimmerman, Oliveira (could leave), Klose, Pinto, Vrancic, Hanley, and Tettey (sick). Let’s have a first team that really understands each other going into game one. I have a theory that the worse the pre-season results the more successful the season. As I remember (this might be rubbish) the pre-season before we finished third in the Prem 1992-93 was a disaster. Also last season everyone was getting excited becasue we had good pre-season results. I’d much rather we got tonked and have our weakneeses exposed in matches that do not count.